There has been reports of breakage of the central section of the NeoPod. The test team has shot hundreds of pieces of game with bipod over the last years without ever experiencing similar failures. Our investigations revealed that it was all down to a wish to test the strenght of the bipod. 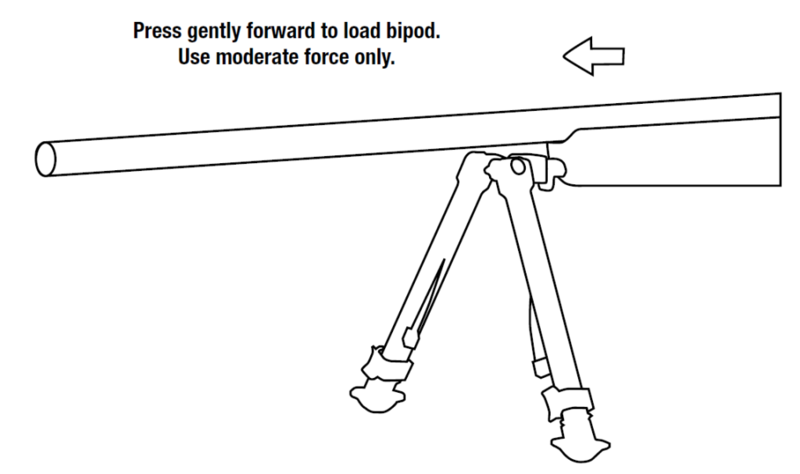 Many of you will tend to take the bipod out of the box and squeeze the legs together or force them apart as shown below. This action may lead to microfractures and delaminated carbon fibres. Not noticable at first, this will manifest itself as a sudden, catastrophic failure at a later stage. 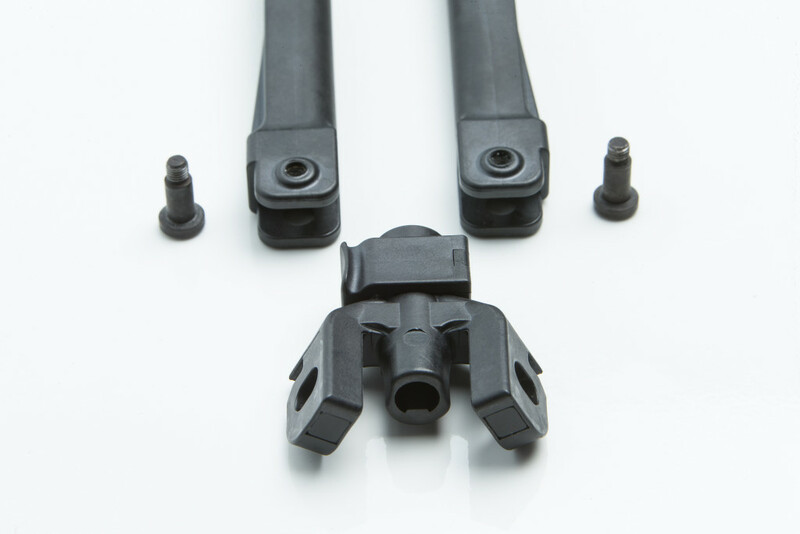 The bipod has been designed to support the weight of the gun and forces in the direction of the shot. 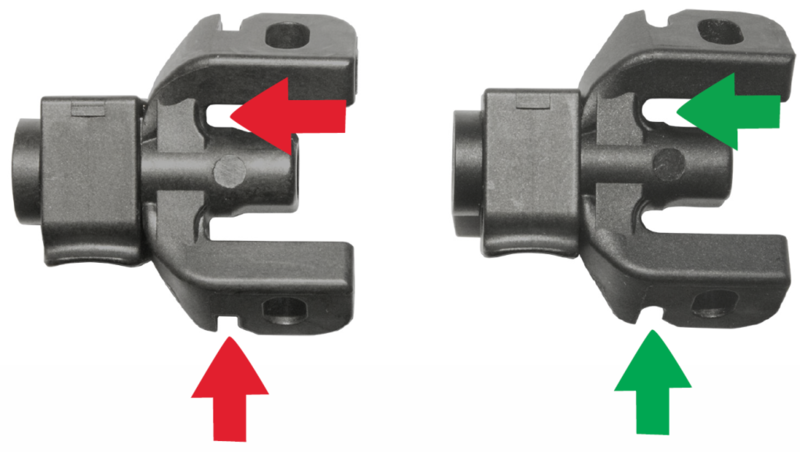 Squeezing or pulling the legs focuses the stress due to the cantilever effect. This makes for a much stronger part. 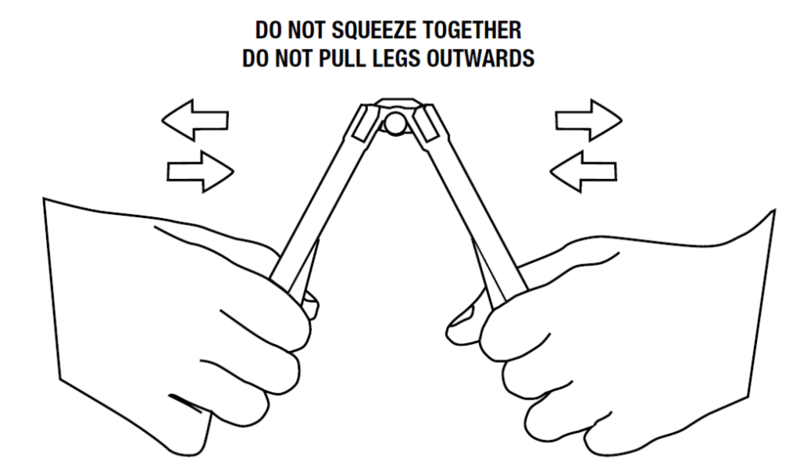 You should still not squeeze or pull the legs as this has not been engineered into the design. The originial part has no further value and should be removed from the face of the earth. To tell the two apart you will notice the curved radians on the stronger version. The arrows shows where to look. Green for updated version, red for original. 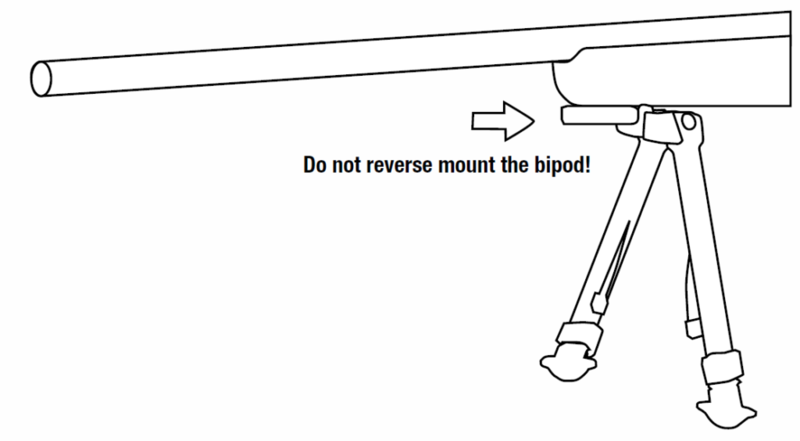 The bipod has not been designed for reverse mounting. 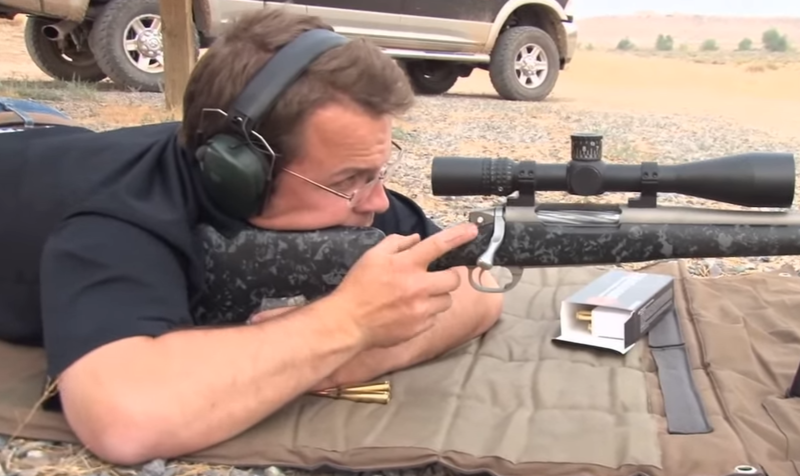 To shoot tight groups you need to pre-load the bipod. Apply forward pressure to take up any slack in the system. Do not push with excessive force. The NeoPod is not designed for this, only for proper shooting technique.